If you have every seen the incredible aerial views from the movie Jurassic Park as the characters approached the island aboard a helicopter, you should be aware those were actually views of Hawaii from a helicopter. The views of the most beautiful place on earth are that much more breathtaking from above. Thankfully, you don’t have to be rich enough to own a helicopter or know someone who is in order to see the magnificent sights Hawaii has to offer from a helicopter. There are a bunch of amazing and affordable helicopter tours available for you to choose from. On some of these tours you can choose to have the doors open so you can get the absolute full experience of soaring above paradise. Other tours will take you right over the volcanoes. No matter which tour you choose, you are bound to remember the experience for a lifetime. Open Door Helicopter Tour in Oahu – On this tour you will have the full open-door experience (with safety restraints of course) of Oahu including amazing views of Pearl Harbor, the coastline and beaches, the Halona Blowhole and much more. The tour lasts about forty-five minutes and includes transportation to and from your hotel as well as a DVD of the tour. There is a maximum of four people allowed per booking. The tour costs $234.99 per person. No Doors Lava and Rainforest Adventure – This helicopter tour will take you as close as you can go to active volcanoes, smoldering craters and all, as well as beautiful rainforests with door-free access for the best views. You won’t soon forget this tour. It lasts about an hour and requires a booking of at least three passengers. It costs $324 per person. To get there you can use Hawaii Belt Road/Kanoelehua Avenue off of Highway 11 and get to the airport from either the North or South. You can also access the airport from Highway 11 turn east onto Airport Road (Kekuanaoa Street) and then drive east about 2 miles until you get to the airport. You can also enter your address and get directions here. Hawaii Big Island Helicopter Tour – This tour lasts a whopping two hours and it will take you all around the main island of Hawaii to all the must-see sights such as volcanoes, waterfalls and more. The tour costs $559 per person. Very limited hotel pick-up is available. To drive there you can take Queen Kaahumanu Highway/HI-19, then turn toward the ocean on Keahole Airport Road. Drive approximately a third of a mile to Keahole Street then turn right and follow the road into the airport. You can also enter your address and get directions here. West Maui and Molokai Tour – On this tour you will get to see incredible sights that you would never be able to via land. You will hover just a matter of a few feet above some of these sites which will provide insane picture-taking opportunities. The tour takes about forty-five minutes. This tour costs $220. There is not hotel pickup for this tour so, to get to the departure at Kahului Heliport you can drive or take a cab. You can also enter your address and get directions here. Helicopter, Lava and Zipline Tour – This tour is probably the most interactive tour on the list. It is also the longest, by far, at about fourteen hours long. As the name obviously suggests, you will be touring Hawaii in the helicopter as well as ziplining too. The tour includes lunch, dinner and snacks as well as hotel pickup and drop-off. The tour costs $573 per person. 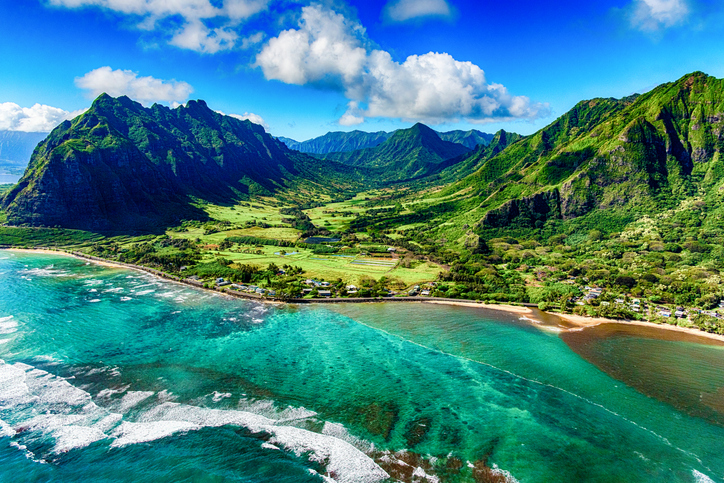 There are a variety of incredible helicopter tours to choose from in Hawaii. Which you choose depends entirely on your sense of adventure and curiosity. There are some more expensive options available that offer extras like zip-lining, hiking and VIP experiences in addition to the actual helicopter portion of the tour. But there are also much more affordable options that will also offer incredible views and awesome fun. In fact, some of the most highly rated tours are less expensive options.